Obsessed with these friends and this just-for-fun session we put together. Their love is so easy to photograph. Linds owns The Village Grind (if you follow me on Instagram you know how obsessed I am) and she became one of my absolute favorite people when I worked there last year. She and her husband Jason are two of the most selfless people I know and they will sacrifice just about anything to love the people around them. I honestly don't have enough space in this whole blog to tell you all the sweet things they've done for me over the last year and a half, so you'll just have to take my word for it when I say they are wonderful! Lindsey and I have been talking about taking pictures for almost a year now and I was so excited when we finally found a date this week that we could meet up and take them! 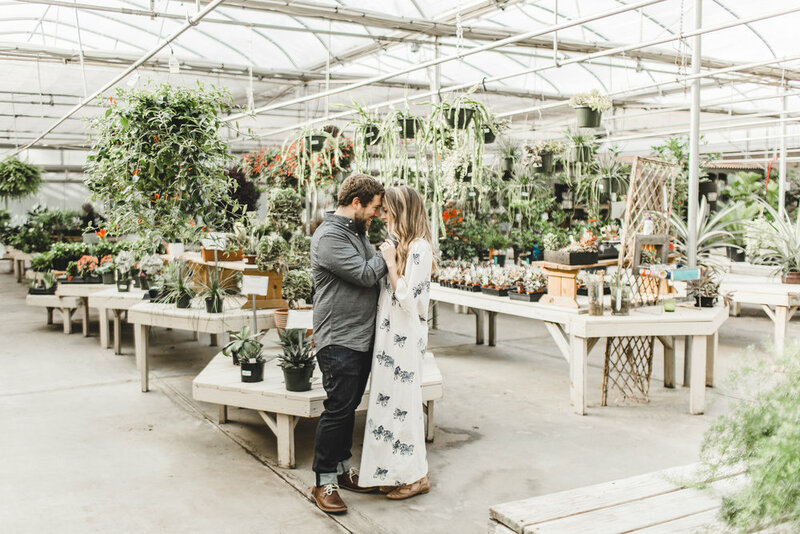 We shot at Martin Garden Center in Greenville and I can't get over how beautiful these pictures in their Greenhouse turned out!